Happy Thursday friends! I procrastinated a bit with my Yoga Teacher Training post and re-cap this week. I had a ton on my to-do list and so it got pushed off until now, sitting on the plane to Belize!! Last weekend was yet another beautiful one, shared with my fellow teacher trainees, my Yogaversity family. This weekend was a bit different though. 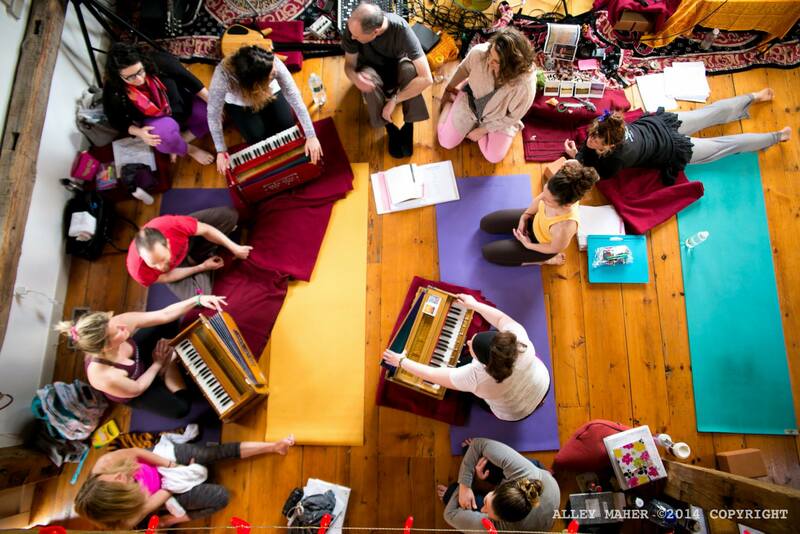 This weekend we were introduced to Bhakti Yoga and Kirtan. We had the privilege to be led all weekend by Sean Johnson and The Wild Lotus Band. Sean Johnson is a Bhakti Yoga teacher from New Orleans, LA. He owns his own studio down there and travels the country with his band singing Kirtan at music festivals and yoga studios. They actually just played Jazz Fest and were even voted top 4 bands to see along with Phish, Robert Plant, and Robin Thicke! So you are probably thinking, ‘What the heck is Bhakti Yoga?” Bhakti Yoga is often referred to as the yoga of love. Sign me up right? There are so many different forms of yoga. I’ve recently been saying how I feel like embarking on teacher training was like just starting to read the book on yoga, and I’m only on the preface. Different forms and different practices will resonate with everyone differently and you take a little of everything or a lot of those you can really latch on to. The biggest thing I took away from our Bhakti weekend was finding that confidence in my voice. In our western society singing is not a common practice. You have to be on American Idol or The Voice to be an acceptable singer. Sean mentioned how you can be in a bar here, hear someone singing, and the crowd would tell them to sit down and be quiet because they’re interrupting the game. Whereas you can go to Ireland and someone starts singing in a bar and everyone joins in. People feel weird singing in public, uncomfortable. Just like how many people feel uncomfortable getting in front of a group of people and speaking. But when we all let down those barriers, became vulnerable, opened our hearts, and sang together, it was really beautiful. I could go on and on about this weekend and how much I learned and how much it opened my heart. I am so grateful to have the opportunity to learn from great teachers, like Sean Johnson. I will remember this weekend forever, and take with me the confidence and heart opening that I found through Bhakti Yoga and Kirtan. This sounds so interesting! The point about the differences between singing in an American pub and an Irish one seems spot on. Have an amazing time in Belize! I will definitely be looking out for your impressions of it! Thank you! Posts will be up this weekend and next week!